A393 Cornwall both ways severe accident, between A39 and Frog Hill. A393 Cornwall - A393 St Michael's Road in Treluswell blocked and slow traffic in both directions between Treluswell Roundabout and the Frog Hill junction, because of an accident involving two cars. Congestion to A393 approaching Treluswell Roundabout. M5 Devon southbound severe disruption, from J28 for A373 Station Road Cullompton to J29 for A3015 Honiton Road Exeter. M5 Devon - All traffic being temporarily held and a vehicle fire on M5 southbound from J28, A373 (Cullompton) to J29, A3015 (Exeter). 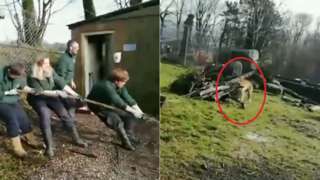 Dartmoor Zoo is accused of turning big cats into "a novelty play thing for tourists". Torbay is finding it difficult to recruit social workers as part of a plan to improve children’s social care. Councillors were told three extra jobs in the assessment team were recently advertised - but they resulted in only a single new recruit. The problem emerged in an update to councillors on the improvement work after Torbay Council’s children’s services was rated inadequate for a second time last June. A monitoring visit in early January by inspectors found senior leaders had failed to tackle “significant concerns” identified in the re-inspection in June. The service said it has taken action to address the issues raised. A former Labour councillor in Devon has quit the party after a lifetime of support, to join a new group of independents. Darren Cowell has teamed up with the Torbay Independents, which has been launched to field candidates at local elections in May. Mr Cowell, 53, a director of a manufacturing company, was Torbay Council’s only Labour member for four years until 2015. His decision to resign was a result of the party’s position on Brexit and the direction it was taking which he was not comfortable with. 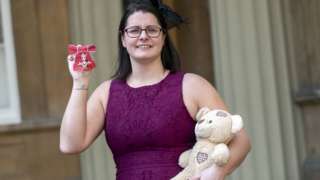 Mr Cowell, who supported the Remain campaign and was the election agent for Labour at last year’s general election, said politics was broken nationally and locally. A Penzance car park is the first of 12, in eight Cornish towns, to be moved over to 'pay on exit' as part of the council’s new parking framework. The change at The Harbour car park will begin from Wednesday. Cornwall Council cabinet portfolio holder for transport, Geoff Brown, said the move would make it easier for customers as well as support local economies. Torbay Council has unanimously supported "the principle" of capital investment in Brixham Harbour, including a breakwater. The authority will now ask for a detailed business case to be prepared, including all available grant funding opportunities. The decision has been made during a full council meeting. Later the meeting will discuss the budget, council tax and the future of the rubbish and recycling company Tor2. Tonight: It will be dry and mainly clear, although low cloud, along with widespread hill mist and fog patches are likely to form in the early hours. Winds will be moderate or fresh south, south-easterly. Minimum temperature: 5 to 8°C. Tomorrow: It will be a misty or foggy start in places, but it will become a fine day with plenty of hazy sunshine. Maximum temperature: 12 to 15°C (54 to 59°F). An animal charity is hoping to rehome a lonely pooch who has spent a year at its shelter in Devon. Staff have been trying to find a home for four-year-old Benji since he arrived at the Dogs Trust in Ilfracombe. In the last 12 months, the team has waved goodbye to more than 300 dogs and welcomed 4,000 potential adopters through its doors, but Benji still remains. “He is very affectionate and once he knows you, he adores fuss and cuddles, and is quite happy to snuggle up on your lap," shelter manager Elise Watson said. "I never thought a year would go by and he would still be here waiting for someone to fall in love with him." 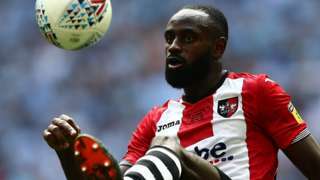 Exeter City midfielder Hiram Boateng is almost ready to return to the first team squad after four months out. A multimillion-pound redevelopment of Sidmouth College has been approved by planners. The scheme to improve the buildings students are taught in would see the existing 1960s main building demolished and replaced with a new, three-storey building on the edge of the existing car park. A grassed quad area would then replace the old building. East Devon District Council has granted planning permission for the redevelopment, and college principal Sarah Parsons has said the new facilities will "make such a difference to all of the students at Sidmouth College". The project is being funded by the government's Priority Schools Building Programme and the Department for Education will be appointing a contractor to deliver the scheme. The final timescale and cost of the development are currently being agreed. Initial timetables suggested work would start in April 2019 and last about 12 months. Then after Easter 2020, demolition work can begin on the old building and last until the summer. A new farm shop, boutique garden centre and café is set to be built just off the A38. 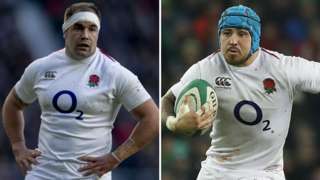 Prop Ben Moon and wing Jack Nowell start for England in Saturday's Six Nations showdown with Wales in Cardiff. Dozens of environmental protesters have gathered outside Devon County Council in Exeter as it holds a big budget meeting. They want councillors to support a motion calling for the authority to follow Cornwall and Somerset councils to declare a "climate emergency", and commit to going carbon neutral by 2030. We're already in a climate emergency. It's the duty of the councillors to acknowledge that and to accept that and to start to work on how we do something about that. They have the information, they have the research, they just have to decide how we're going to deal with this crisis now. 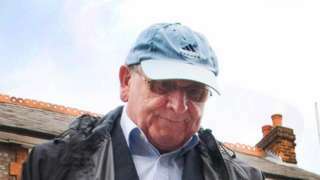 Father Francis McDermott, 75, used his "charm" to befriend families and abuse their children. A new Japanese knotweed tracking tool has revealed hotspots across Devon and Cornwall in an interactive online ‘heat map’ of sightings. Fifty-four sheep have been killed by dogs on Bodmin Moor in the past 10 months, and 22 have been injured, police have said. Devon & Cornwall Police released the statistics as the force announced a "day of action" to educate dog owners. It said on Saturday 2 March representatives from the rural engagement team, special constabulary and local neighbourhood teams will be available to help educate dog owners on "how to be responsible" when using the moor. Incidents of livestock worrying can result in "horrific" injuries to animals, the loss of unborn lambs and a devastating impact financially on a farmer and their livelihood, officers said. The awareness events will be held at Minions and Pensilva between 11:00 and 15:00. From the beginning of March until the end of July dogs must be on a short lead at all times. If a person lets a dog chase or attack livestock then this is a criminal offence, and they may be prosecuted, they could receive a fine or a dog control order and in some circumstances a dog could be destroyed. Plans for a new cafe and community hub in Heavitree Pleasure Grounds in Exeter are a step closer after community group Park Life Heavitree was awarded a £300,000 funding grant. It is hoped the new community cafe and hub will provide a community space for groups, activities and local people to meet and develop relationships and interests. Four jobs will be created by the project and building work is due to start later in 2019. Power to Change - an organisation set up to grow and support community businesses in England - has awarded Park Life Heavitree with the grant to help fund the project that was unanimously granted planning permission last year. When the plans were submitted, there were 81 letters of support from the community, saying there is a need for a more permanent social hub within the community.